If you’re not sure how much trackway you’re going to need, the size of your festival will definitely have an impact. Think about how many stages and stalls will need to be built. If they won’t be on hardstanding, it’s likely that in order for these builds to take place, your suppliers will need temporary roadways to get their equipment where you need it. You will also need to take into account how your festival is going to be laid out and how your attendees are going to get from A to B.
We’re not suggesting you lay trackway over the entire site, but highlighting the routes that all of your attendees will take at some point during the festival (e.g. the entrance to the car park) can be beneficial. Having trackway installed in each of these places will make festivalgoers’ lives a lot easier if the weather takes a turn for the worst – it’ll provide a solid surface and help prevent their wellies from getting stuck in the mud. While this might seem obvious, it’s important that you fully plan out the timeline for setting up your festival. Make sure you leave enough time for each of your suppliers to set up, and allow for buffer days in between. If you have any contingencies during the build of the event, then this extra time will be vital in making sure that everything is complete on time. The amount of time your trackway supplier will need will depend entirely on the size and complexity of the job. A good trackway supplier should offer you a site survey so they can fully understand where the panels will be needed and make note of anything that might be a slight challenge during the installation (slopes, for example). This will then allow them to give you an outline of how long it will take their team to install the panels safely. Depending on how many panels you need, this could be anywhere from one day to a number of days so it’s important you know this first, before you tell your other suppliers when they can arrive on site. When hiring your other suppliers (for staging, AV, stalls etc.) make sure you ask them what their expected loads will be, and what kinds of vehicles they’ll be using. While aluminium panels can hold a lot of weight, finding out how much there’s likely to be on it at any one time and making your trackway provider aware of this is an important step. Knowing the types of vehicles that will be driving over them is also vital. If any of your suppliers are considering using vehicles with steel tracks, you will need to ensure they don’t go on the trackway. Tracked vehicles will cause damage to the panels, which can end up being very expensive for you. Once you’ve determined where you’re going to need your temporary roadways, you need to make sure you’re choosing the right supplier. 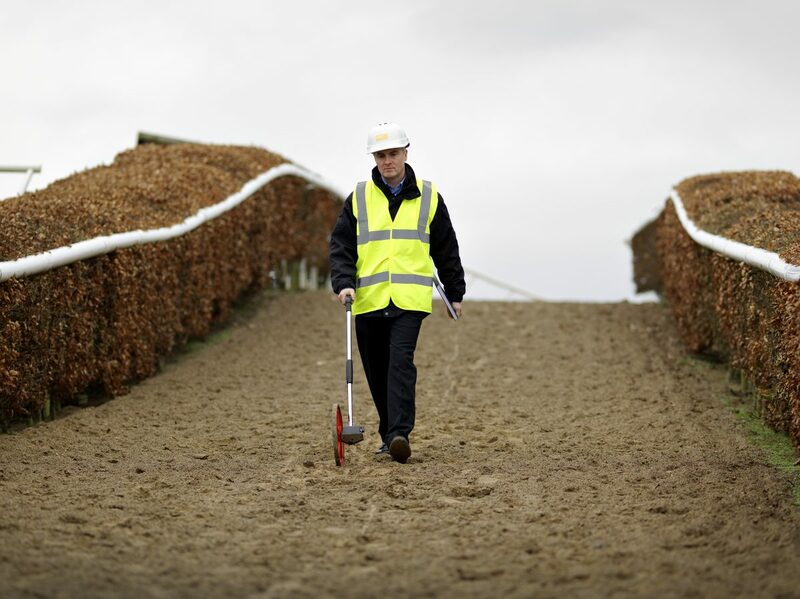 While this may not be the most important factor when choosing a trackway supplier, you might want to consider where they’re based before hiring them. Knowing where their depots are will help give you an idea of how long their response times will be and how long it could take them to get to your site, although your supplier should always be able to work to your schedule. Choosing a company with a depot near to you, or one that is more than happy to work flexibly to suit you, will give you piece of mind that you won’t have any problems with your build running on time. Do they give you a dedicated point of contact? The closer you get to the physical setup of your festival, the busier you’ll get. You’ll need the peace of mind that if you need to get in touch with your trackway provider urgently, you won’t need to be forwarded to a different department every time. Choosing a supplier who gives you a dedicated account manager (or at least a key contact in each department) will ensure that no important messages get lost or passed to the wrong person. 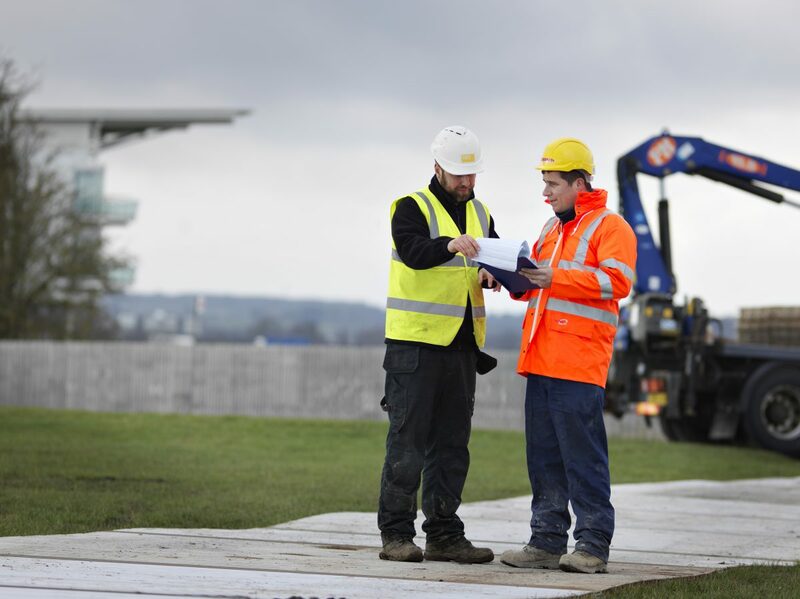 This is especially important if your work schedule changes – your trackway provider will always be the first in and the last out, so it’s vital that they know of any changes as soon as possible. How much experience do they have with festivals? When it comes to choosing a supplier, choosing one that has a wealth of experience working with festivals and other events can really work to your benefit. Hiring someone who has worked on similar projects in the past will have a better understanding of where you’re coming from when making a decision, and they’ll be more likely to have a good idea of how festival operations work. A supplier who has worked on similar projects will also be able to draw on their past experience to offer advice and help you find the best solution quickly. For further information on choosing a supplier, read our previous blog post on what to look for in a temporary roads provider. Are you planning a music festival or outdoor event? From making sure you fully plan out build and breakdown timings, and identifying the most often used pedestrian routes, to whether your supplier gives you a dedicated account manager, there’s a lot to consider when hiring trackway for your festival. If you’re still unsure, or would like some expert advice on hiring temporary roads, Tweet us @TrackwaySol or give us a call and a member of our team will be happy to help.